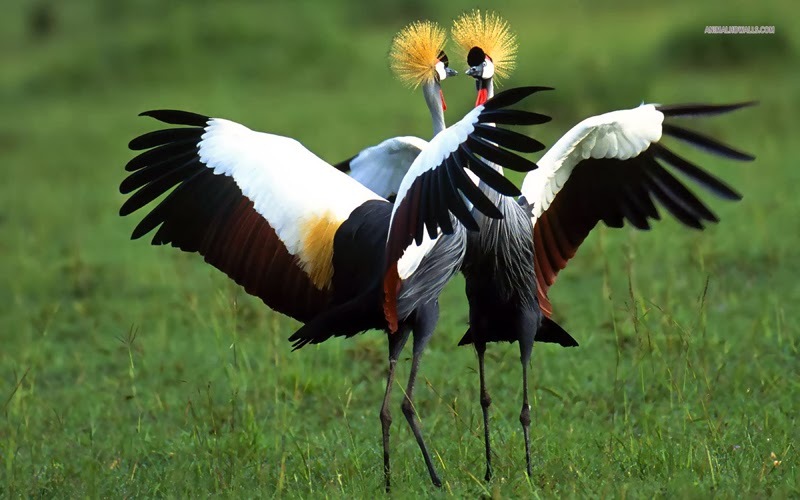 Crowned Cranes performing their ritual dance. Crowned Crane is too beautiful to be in crane species since the crane families usually play in mud for hunting their prey. Native to African land of Natal, Namibia, Kenya and Uganda they flourish in the grasslands, marshes and the flooded fields. 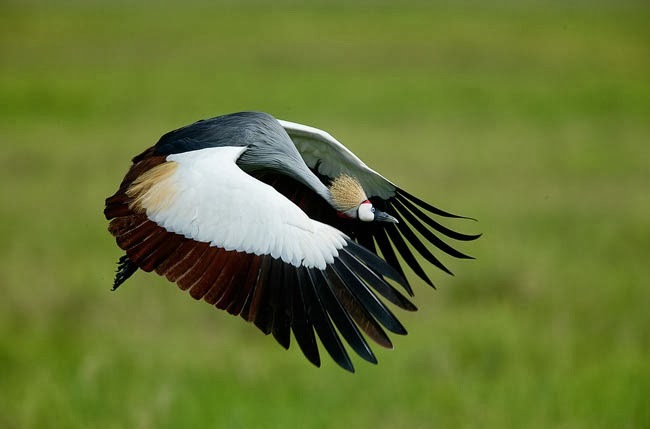 There are two sub-species of Crowned Cranes, the black-crowned crane (Balearica pavonina) and the grey-crown crane (Balearica regulorum) where the grey species are more vulnerable to extinction. The best feature for Crowned Crane is the crown on its head makes it looks totally different from any other crane species. Instead their plumage consists of various colors compared to many other crane species with one or two dominant colors. Flying Crowned Crane showing their beautiful plumage. Crowned Cranes are omnivores and can eat almost anything they can found on the swamp or the grassland their hunting grounds. Their wide ranges of diet consist of plants, seeds, grains, insects, frogs, worms, snakes, small fish and even the eggs of aquatic animals. They also sometimes following the herds of antelopes or gazelles to take their chances on disturbed insects or any other small creatures. The grey-crowned crane had been threatened to extinction by human activities such as drainage, overgrazing and pesticide pollution. In fact the crowned crane is one of the oldest species that flourished the earth since the Eocene period some 54 to 38 million years ago. The size of adult grey-crowned crane is about 1 m (3.3 ft.) tall and weighs 3.5 kg (7.7 lbs. ), with a wingspan of 2 m (6.5 ft.). They have the same plumage for both sexes while the males tend to be slightly larger. Another best thing about the crowned crane is their dance ritual – in fact some other crane species have a quite similar dance ritual. Even though this dance used as part of the courtship, it also will be done at any other time of the year. During the dance they can jump for several feet in the air. Once they touch the ground they will run around each other and start all over again. 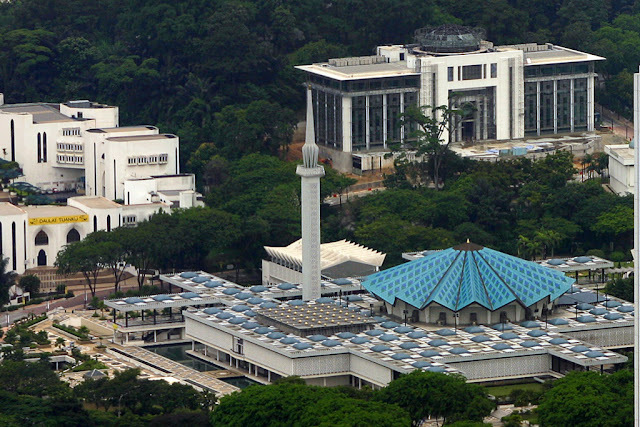 Should it be nice event to see!